Hassard Residence - Strasman Architects Inc. Located on a large piece of property in the rolling hills of King Township just north of Toronto this house, built in the 80’s, was “state of the art” in energy efficiency. The large windows and indoor swimming pool face south. The north side of the house is earth sheltered and is where the entrance and 3 car garage are located. A ground source heat pump is utilized to further reduce energy consumption. Heat reclamation from the swimming pool adds to the energy efficiency of the house. The circular form is the result of taking advantage of the views and the location of the swimming pool in relation to the other rooms in the house. The kitchen is at the very centre of the house and overlooks the living and dining rooms. The Master bedroom is on the is on this floor and opens onto a large deck. Below the kitchen is the mechanical room. 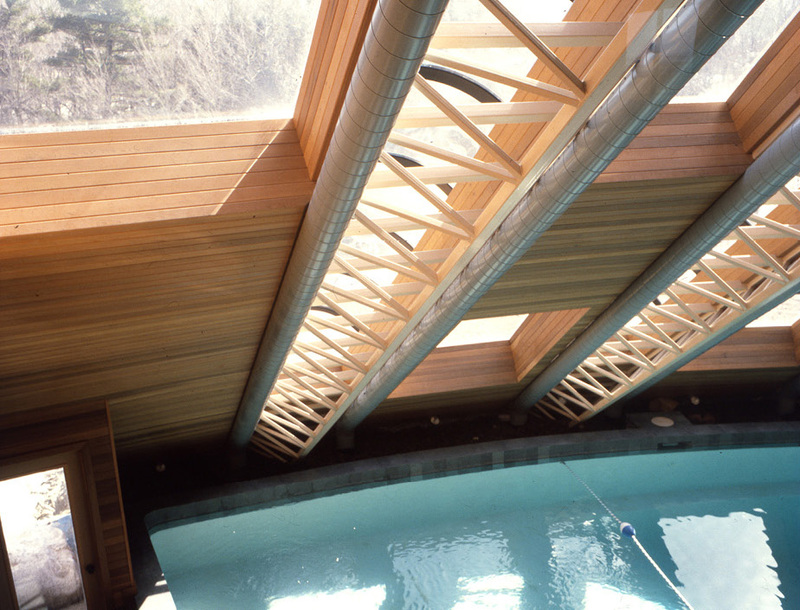 The swimming pool is a two storey space with exposed structure and mechanical ducts clad in clear cedar. 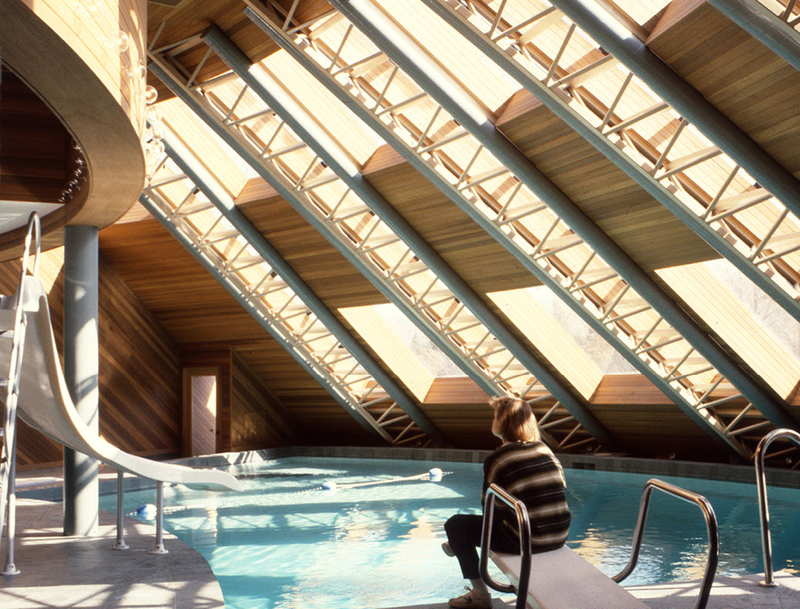 The exterior is clad in cedar shingles,glass and plexiglass skylights over the swimming pool.